Saturday’s game against Arkansas State was a new experience for junior outside linebacker Luke Gifford. The Lincoln Southeast product played in six games as a redshirt freshman before suffering an injury that cost him the rest of the season. As a sophomore, he played in four games. Heading into the 2017 season, he had made eight tackles in his career. 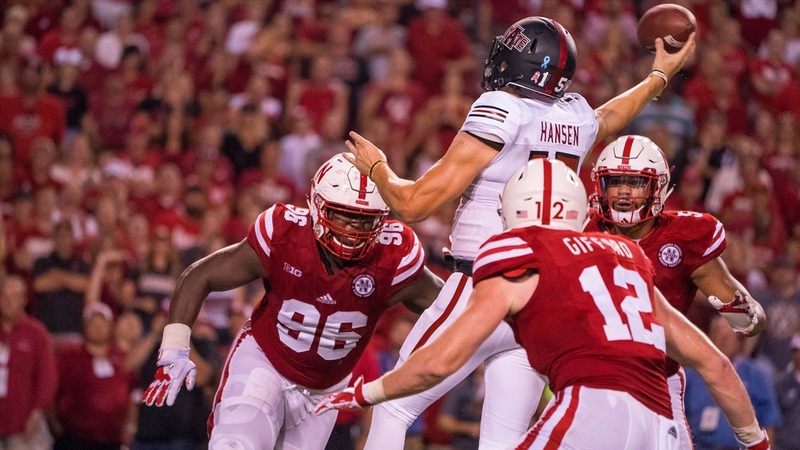 Against the Red Wolves, Gifford more than doubled that per-season average, leading the Huskers with nine tackles while playing nearly every snap on defense — somewhere in the area of 90 plays. Gifford’s extensive role on Saturday was somewhat of a surprise, even to the linebacker himself. After all, he was listed as second on the depth chart at field outside linebacker behind senior Marcus Newby. Though Gifford was listed behind Newby — after a hard-fought position battle during fall camp — the two actually started the game together. During the course of the game, Gifford lined up all over the field, shifting around based on who the other linebackers were on the field. Throughout the game, Gifford lined up at both outside linebacker spots as well as at defensive end in a four-man front. He dropped into coverage, set the edge against the run and went after the quarterback. Now listed at 6-foot-3 and 235 pounds, Gifford has come a long way from when he was working at safety during his redshirt year. Lining up with his hand in the dirt is a bit different than what Gifford is used to, but it is something he’ll get plenty of chances to do in Bob Diaco’s defense. Gifford was fairly modest in his self-evaluation. Coach Mike Riley was a bit more effusive in his praise for Gifford, saying the linebacker was one of the players who made the biggest jump from last season. Oregon is going to post a much stiffer test than the Red Wolves did last week, however, and as well as he did during week one Nebraska is going to need even more out of Gifford in order to knock off the Ducks. Week one made it very clear that Gifford is going to be relied upon extensively in Nebraska’s 3-4 defense. Even though he’s still listed as a second-teamer on the depth chart.